Atos, a global leader in digital transformation and CloudBees today announced at Google Cloud Next ‘19 a partnership to offer a joint solution to help customers modernize their application development practices on Google Cloud Platform (GCP). The solution is an integrated service that makes oversight of the software development environment easy and provides a managed platform for the software delivery process. With the adoption of this managed service offering, customers gain greater business agility, scalability and reduction in IT spend to build and automate development pipelines. 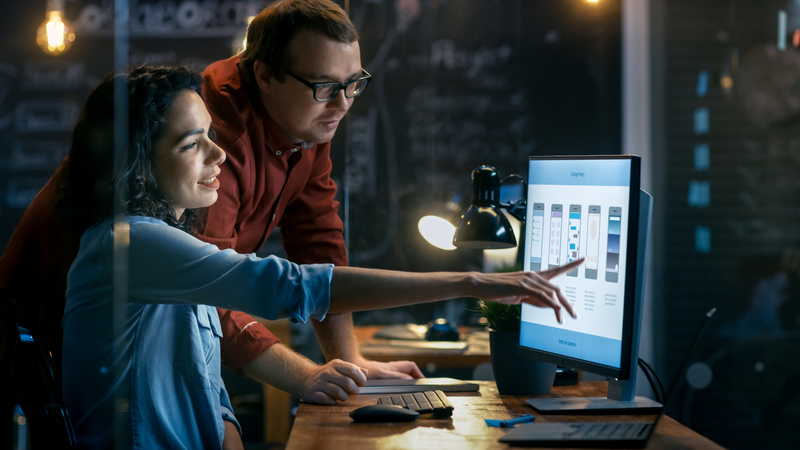 Application Transformation Services from Atos helps teams modernize applications, as well as the way they are delivered and managed. A cloud native continuous integration (CI) and continuous delivery (CD) platform from CloudBees, powered by Jenkins and Jenkins X, that fully leverages Google Cloud technologies in the cloud or on-premise. Google’s leading cloud technologies leverage industry standards like Kubernetes and Istio. Through this partnership, Atos – one of Google Cloud’s largest managed service providers – is building a DevOps platform on Google Cloud Platform, powered by CloudBees Core. The solution will include a new set of application and data services, including several services focusing on the end-to-end lifecycle of applications; full automation and provisioning of the service to include CloudBees Core deployed in a hybrid manner on Google Cloud Platform; and automated upgrades, including CloudBees Core on Kubernetes. CI/CD approach = Continuous integration and continuous delivery. The CI/CD approach increases the frequency of application distribution by introducing automation throughout the entire application development lifecycle – from code through to deployment. Open source software tools for continuous integration and continuous delivery. Atos is a global leader in digital transformation with 120,000 employees in 73 countries and annual revenue of over € 12 billion. European number one in Cloud, Cybersecurity and High-Performance Computing, the Group provides end-to-end Orchestrated Hybrid Cloud, Big Data, Business Applications and Digital Workplace solutions through its Digital Transformation Factory, as well as transactional services through Worldline, the European leader in the payment industry. With its cutting-edge technologies and industry knowledge, Atos supports the digital transformation of its clients across all business sectors. The Group is the Worldwide Information Technology Partner for the Olympic & Paralympic Games and operates under the brands Atos, Atos Syntel, Unify and Worldline. Atos is listed on the CAC40 Paris stock index. CloudBees is powering the continuous economy by building the world’s first end-to-end system for automating software delivery, the CloudBees Suite. The CloudBees Suite builds on emerging DevOps practices and continuous integration (CI) and continuous delivery (CD) automation adding a layer of governance, visibility and insights necessary to achieve optimum efficiency and control new risks. Since every company in the world is now a software company, this new automated software delivery system is becoming the most mission-critical business system in the modern enterprise. As today’s clear leader in CI/CD, CloudBees is uniquely positioned to define and lead this new category. CloudBees puts companies on the fastest path to transforming great ideas into great software and returning value to the business more quickly. Backed by Matrix Partners, Lightspeed Venture Partners, Verizon Ventures, Delta-v Capital, Golub Capital and Unusual Ventures, CloudBees was founded in 2010 by former JBoss CTO Sacha Labourey and an elite team of continuous integration, continuous delivery and DevOps professionals.